A drunk father called police on his 6-year-old son, claiming the young boy was trying to steal from him. 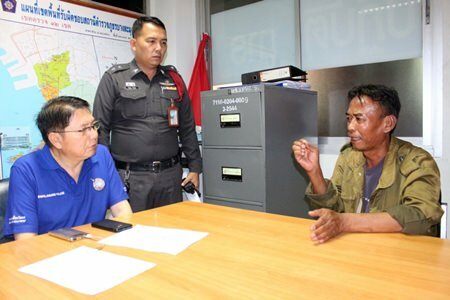 Samak Kamkuan, 41, was arrested for filing a false police report at his Takientia home Feb. 4. Barely able to hold a conversation, the inebriated man had rudely called the 191 emergency phone line seven consecutive times, claiming his 6-year-old son was trying to break into his room to rob him. The man tried to contest the charges, but police checked his phone and found evidence of the calls. Samak Kamkuan was arrested for calling the 191 emergency phone line seven times, claiming his 6-year-old son was trying to break into his room to rob him.